On March 7, 2017, Leeds Fire & Rescue was awarded a Firehouse Subs Grant for $26,894. This money was used to purchase much needed extrication equipment for the department. Officers from Leeds were on-hand to receive this award at the Firehouse Subs location in Homewood. We are very excited to have received this award, and we would like to thank the Firehouse Subs Public Safety Foundation for selecting our department. On November 18, 2016, Morgan Norsworthy (left) and Tyler Paterno (right) successfully completed the Bessemer Fire Academy. Please join us in congratulating them on this tremendous accomplishment. Leeds Fire & Rescue are very proud to welcome Morgan and Tyler as our newest certified firefighters! ​As everyone is aware, the entire state of Alabama is currently under a Burn Ban. The conditions throughout the state have created an extreme danger of wildland / structure fires. Within the city of Leeds, we have had numerous fire incidents in October - some of which have involved structures. Due to the seriousness of the conditions, any individuals that are responsible for starting any fires will face fines and possible criminal charges. Although Leeds has been faced with several fires, there are also a number of fires that are impacting our surrounding areas. As a result, smoke may be seen within Leeds. Please do not be alarmed by the presence of smoke within our area. However, if you discover smoke that is accompanied by fire - CALL 911 IMMEDIATELY. 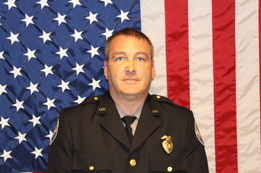 It is with great pleasure tha​t we would like to announce the promotion of Michael Jenkins to Fire Lieutenant. This man exemplifies the dedication and leadership of Leeds Fire & Rescue and his promotion is well deserved. Please join us in congratulating Lt. Michael Jenkins on his accomplishment. 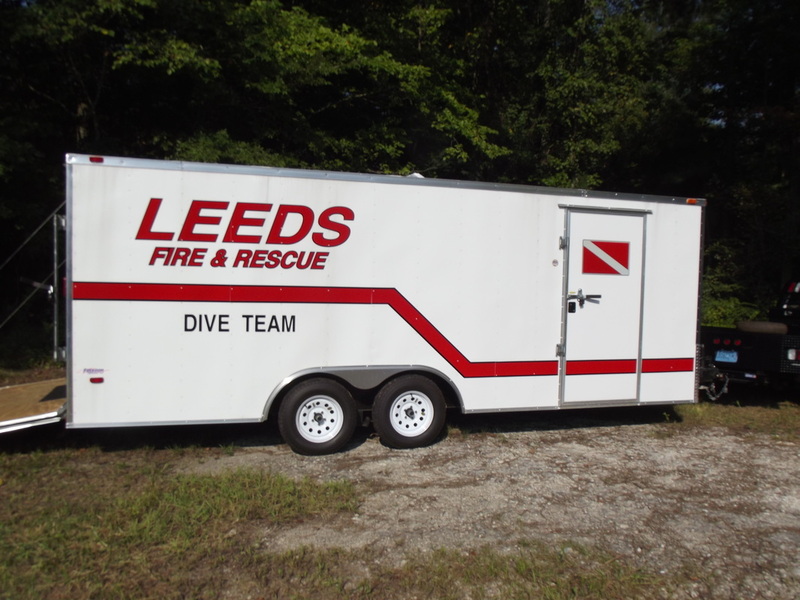 Since February 2016, the Leeds Fire & Rescue Dive Team have been diligently working to construct their Dive Training Facility. On July 1st, a BBQ to show appreciation to the many sponsors that have contributed to the Dive Team was held. Personnel from Leeds Fire, Leeds Police, Pell City Fire, Pell City Police, State Representative Dickie Drake, Norfolk Southern, Lehigh Cement, Leeds Public Works, Leeds City Employees, and their families. There was plenty of great food, swimming, and the Pell City Dive Team provided boat rides around the facility. We would also like to extend a special thanks to Ricky Kerr for cooking, Eric & Amari for providing the live music, and to the City of Leeds for allowing us to host this successful event. Leeds Fire & Rescue Dive Team and Pell City Dive Team performed a joint training scenario at Oak Mountain State Park on April 4th. This training scenario involved the recovery of a weapon. We are very pleased with the opportunity to further foster the relationship between Leeds' and Pell City's dive teams. Special thanks to the Oak Mountain State Rangers, Leeds Fire Marshal (Barry Wright), and Pell City Dive Leader (Justin Cooper). It's getting that time of the year again and the dive team has already begun it's operational training. We would like to extend a special thank you to the Trussville YMCA and Missy Gooden for allowing us to utilize their indoor pool during the winter months, but now it's on to outdoor water training. We would also like to welcome our newest members of the dive team - Kyle McKinney and Casey Smith. They will begin their dive certification process in April. We have also remodeled our dive trailer. Be on the lookout for a virtual tour. During the week of February 22nd, Leeds Fire & Rescue hosted personnel from Alabaster, Birmingham, Homewood, White Plains, and Leeds for a Fire Instructor II class. This course is part of the Alabama Fire College curriculum. Throughout the week, these students studied a variety of topics including developing training materials and budgets, managing / supervising instructors, and safety during fire training. We would like to thank everyone that were able to participate in this worthwhile training. In June 2014, the Alabama Association of Fire Chiefs launched Turn Your Attention to Fire Prevention, a statewide campaign to reduce fire fatalities in Alabama. The goals of our campaign are to promote personal responsibility for fire prevention, change behaviors that cause most unintentional fires and train citizens to avoid serious injury or death if fire occurs. People living in Alabama have a greater risk of dying in a fire than people in almost any other state. According to the U.S. Fire Administration, Alabama ranks third in the US for deadly fires per capita, following the District of Columbia and Mississippi. As fire chiefs, we asked ''Why”? Alabama clearly has high-risk citizens: persons of low economic status, older adults and children. We have older construction, substandard housing and cultural diversity, but so do states surrounding Alabama in the southeastern United States. Why is our risk so much greater? Research points to simple human behavior as the cause of almost every home fire in Alabama. Unattended cooking, careless use of tobacco products, improper use of space heaters and extension cords, and unsafe storage of combustibles are leading causes of fires that kill. Our focus is on helping citizens understand common causes of fire so they will choose to change these behaviors. In addition, we will provide information on the use and maintenance of smoke alarms, and developing and practicing escape plans. This website will provide up-to-date information on trending fire risks, sites for educators and students, and current data on local fire fatalities. 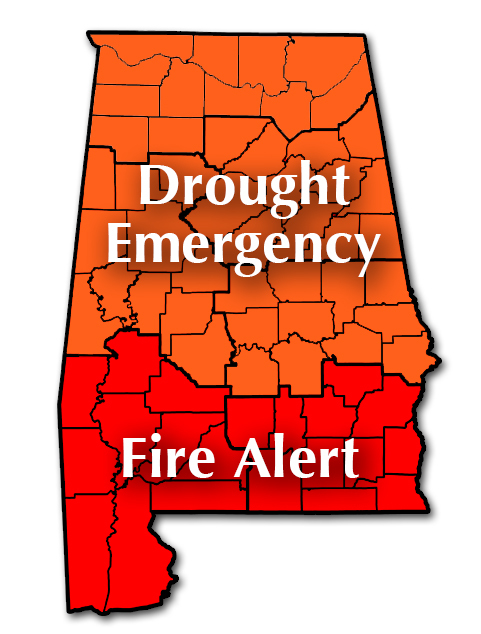 Turn Your Attention to Fire Prevention and join us as we unite fire prevention efforts across Alabama.